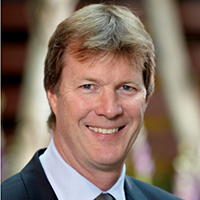 Dr. David Price is Professor and Chair of the Department of Family Medicine at McMaster University, and has been Chief of Family Medicine at Hamilton Health Sciences since 2004. He has been a physician for over 25 years, practicing comprehensive family medicine. He was the Provincial Primary Care Lead and also the Chair of the Provincial Expert Advisory Panel on Primary Care (2013-2014) and is currently a Primary Health Care Medical Consultant with the Ministry. He has considerable interest and experience in primary care reform and healthcare policy development not only through his leadership roles at the University and Hospital, but also through his involvement with local, regional and provincial government bodies where he acts as a consultant and advisor. Locally, he was the founding director of the Maternity Centre of Hamilton; a multidisciplinary centre that cares for prenatal and intrapartum patients. Dr. Price was also instrumental in helping to create the academic Family Health Team at McMaster University, an interprofessional team, currently serving over 35,000 patients in the Hamilton area. He was a key player in the development of the David Braley Health Sciences Centre in downtown Hamilton. As Vice Chair and Director of Health Services, Dr. Cathy Risdon provides leadership in the strategic direction and mandate of the Department, as well as for all aspects of departmental health services. In addition to being a Professor of family medicine, she was also the inaugural David Braley & Nancy Gordon Chair in Family Medicine. She has completed a Doctorate of Management in Organizational Change at the University of Hertfordshire where her research explored themes of excellence and improvisation within curriculum design and implementation. Her leadership in the field of interprofessional collaboration has resulted in over $2.5 million in recent grants to promote effective health care on interprofessional teams. She has conducted training and consultations across North America for primary care and community based agencies wishing to improve their capacity for effective team and interprofessional collaborations. Her clinical practice includes a varied inner city population with a focus on vulnerable populations. 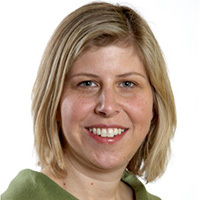 As Postgraduate Program Director, Dr. Sarah Kinzie provides leadership and oversight to all aspects of the family medicine residency program at McMaster University. Dr. Kinzie has been with the Department since 2000, during which time she has held various leadership roles including Education Coordinator and Hamilton Site Director. Dr. Kinzie’s academic interests focus primarily on medical education. Dr. Kinzie’s clinical practice is at Stonechurch Family Health Centre in Hamilton, where she provides comprehensive care to a diverse patient population. 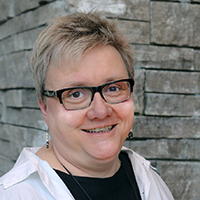 As Undergraduate Program Director, Dr. Keyna Bracken provides leadership and oversight to all aspects of the undergraduate family medicine experience at McMaster University. 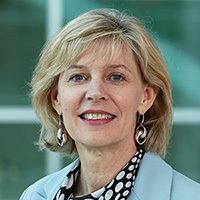 As Executive Director, Tracey Carr provides leadership in the strategic and operational direction of education, research, clinical services and eHealth innovations of the Department. Since joining the Department of Family Medicine in 2010, Tracey’s leadership has been integral to its success through a time of great expansion in both education and research. 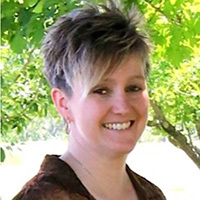 In addition to optimizing the Department’s infrastructure and strengthening operations across all domains and sites, she has been a key leader in Health TAPESTRY, the Hamilton Central Health Link, and the Connected Health and Wellness Project. She was also the founding Executive Director of OSCAR EMR – a not-for-profit affiliate of McMaster established to facilitate the design, development and dissemination of OSCAR – a role in which she led the team in achieving and maintaining ISO 13485:2003 certification. More recently she has overseen the creation of kindredPHR Inc., a social enterprise dedicated to realizing McMaster’s vision of enabling each person to have their own customizable space within an expanding digital health ecosystem in which they can connect the people and information that matter most to their health from their perspective. 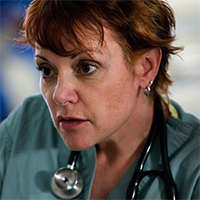 Tracey is a Registered Nurse with a Bachelor of Science in Nursing and a Master of Business Administration in Health Services Management from McMaster University.